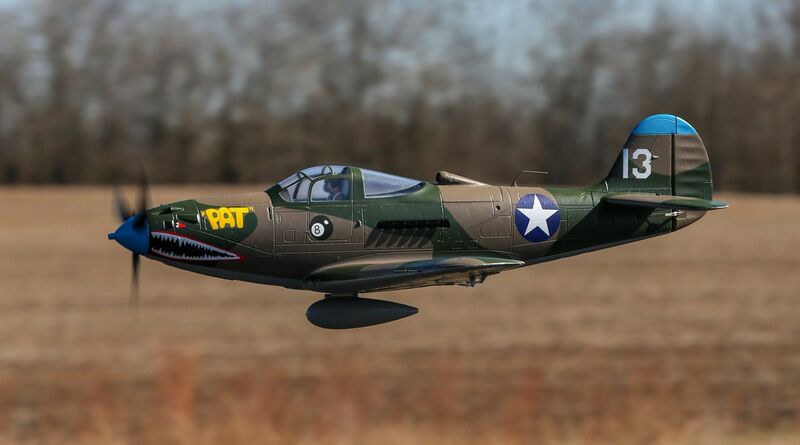 E-Flite recently announced this brand new warbird to their lineup - and it's not a Mustang! 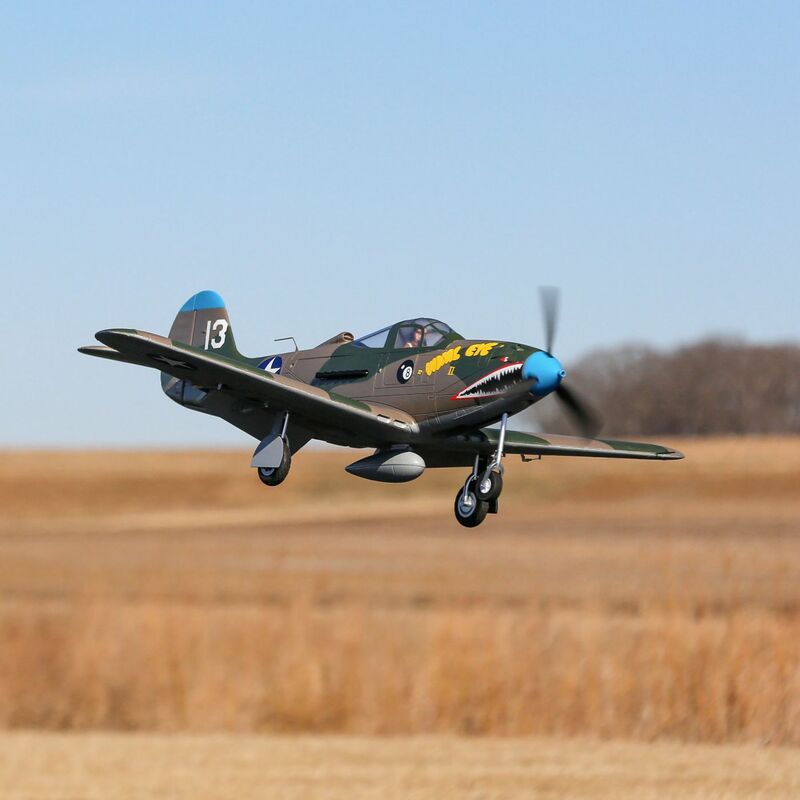 If you're a fan of great looking radio controlled warbirds, you'll probably be pleased to hear that there is a new one on the electric RTF scene. 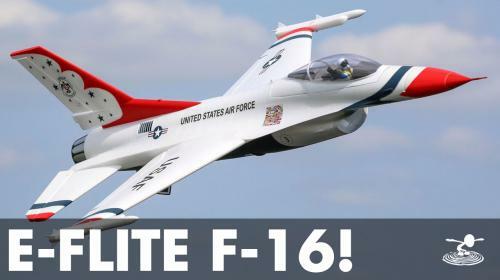 This is E-Flite's latest 1.2m model that bristles with extra features and scale details. 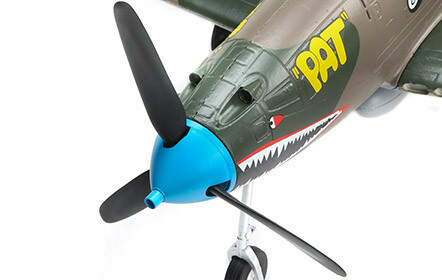 The E-Flite P-39 includes retractable landing gear (as you might expect). 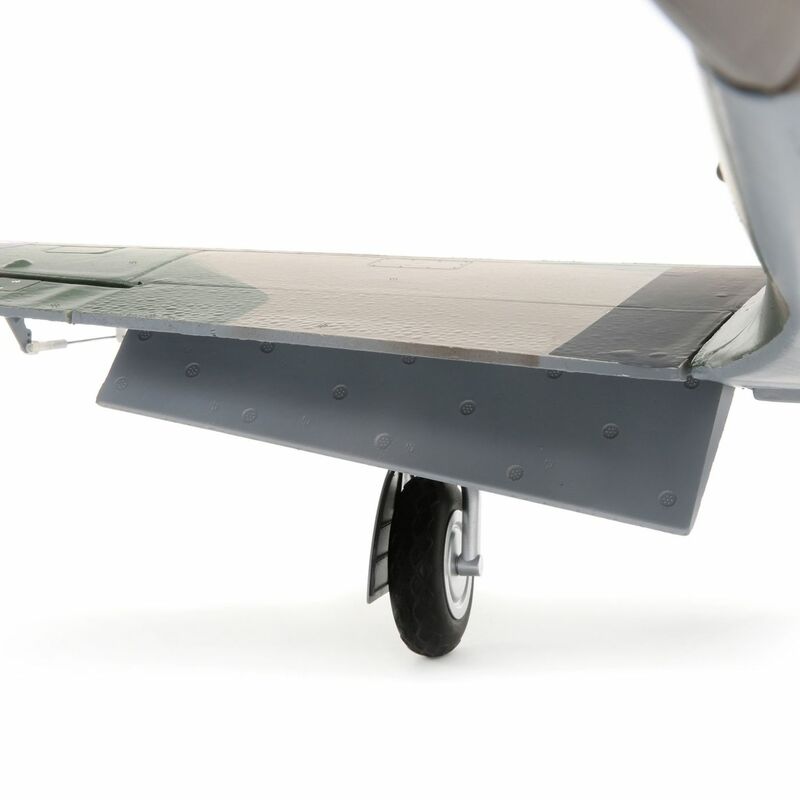 It also has a steerable nose wheel. 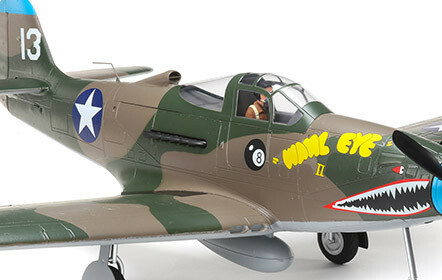 The P-39 was unique in WW2 as it was the first single engined fighter aircraft to include a tricycle landing gear arrangement. 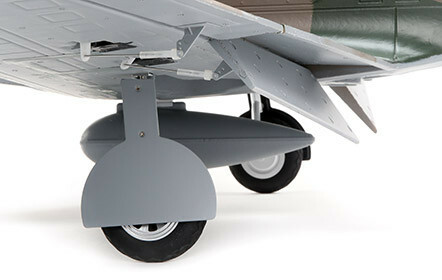 With this model, you can expect stable and predictable ground handling which differs somewhat to most tail-dragger fighters. The model also has split flaps. This is where the lower surface of the trailing edge of the wing lowers downward whilst the upper surface stays immobile. It's a nice feature that can really help you bring the aircraft down in one piece. 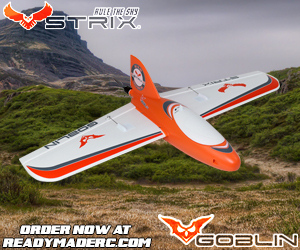 With a 1.2m (47.2") wingspan, this isn't a small model by any stretch of the imagination. It does, however, fit into the back of your average car meaning transporting the warbird to your local field won't be a problem. When you get it to the field, though, you'll certainly be turning some heads with the exhaust stack, canopy and camp trim scheme details. If you're wanting a more scale type flying experience, you can use a 3s 2200 30c battery for sufficient cruising power. 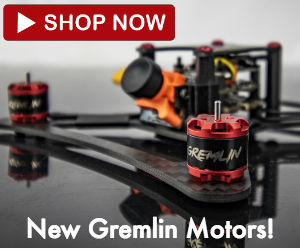 Combined with the motor, this battery can power the 58.5-67oz (1660-1900g) airframe nicely with extremely good climb and some vertical capabilities. Upping the power to a 4s 2200 will see this thing go a little bananas. 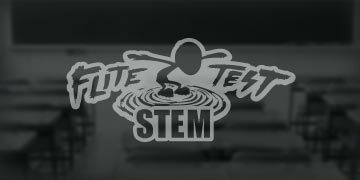 You can boost the top speed to near 90mph in a dive. 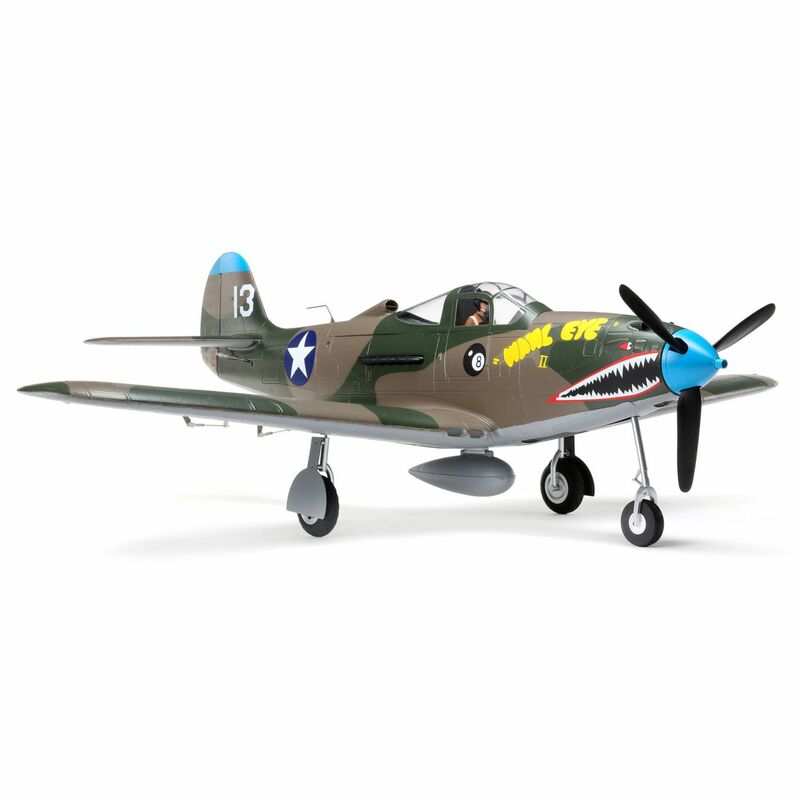 The P-39 is, at this time, the fastest prop warbird in the E-Flite range. A strong rigid EPO fuselage, wings and tail have been specially designed cope with the more extreme velocities and air pressures. If you're into unique looking models - probably, yes! 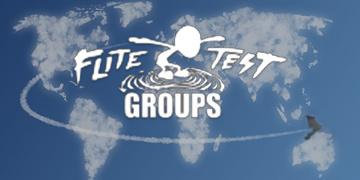 With the additional features of the BNF version, you won't really have a problem flying this if you've perhaps flown two other E-Flite models. 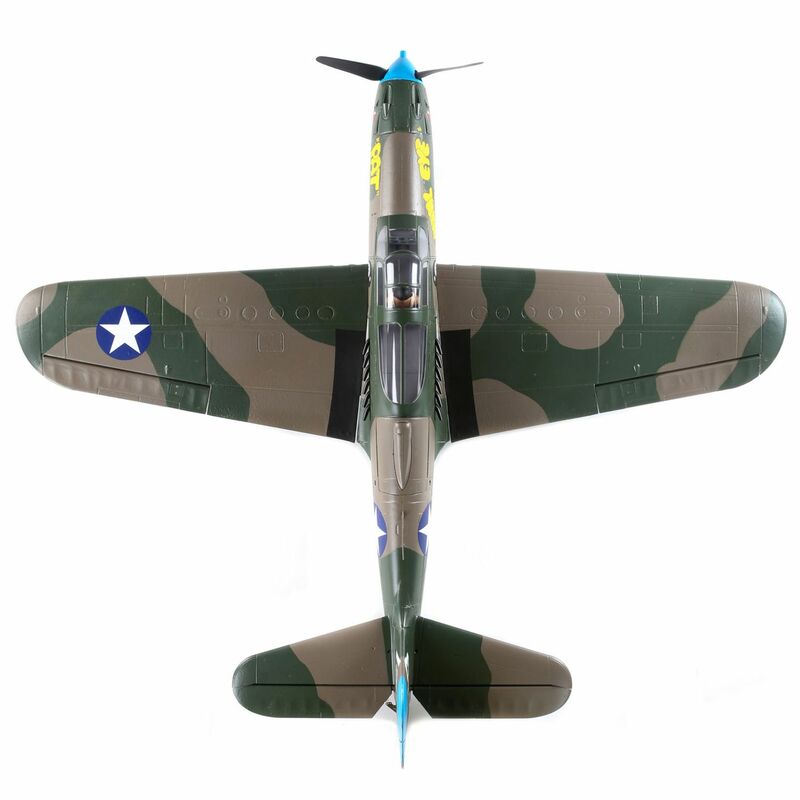 Thanks to SAFE and AS3X, this would be a great first warbird model. The only thing to be wary of is the speed factor. 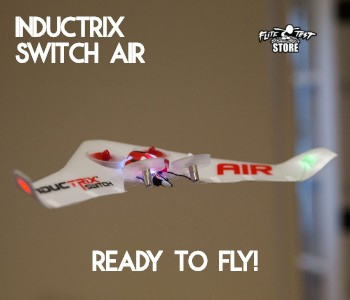 This aircraft is quick, but thanks to the 3s compatibility, you can tone this down to some extent. 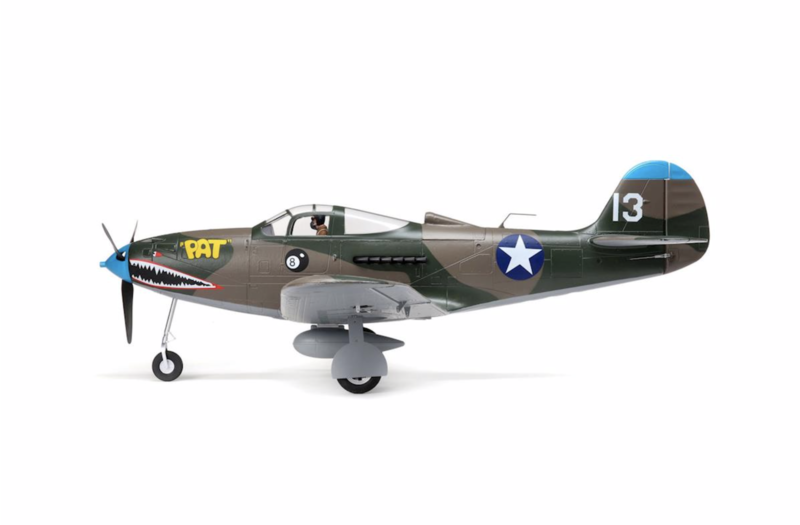 The E-Flite P-39 Airacobra can be flown on a 6ch radio, but you might want to take advantage of something with more channels, perhaps a Spektrum DX8e or a Spektrum DX9 Black Edition. This is because the SAFE Select function requires a 7th channel on your Rx. Having said this, if you don't mind pairing it with another channel, say your flaps, you can still take advantage of the feature. This could be useful for those tricky landings where you really don't wan't to mess up with an avoidable tip stall! 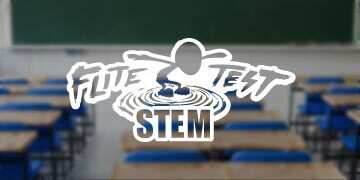 If you enjoyed this article, make sure to give it a thumbs up so others can find it too! 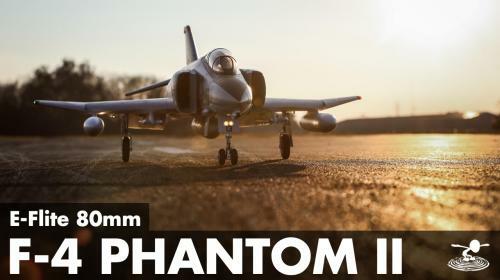 New from E-Flite: 80mm EDF F-4 Phantom! It's Fast! mandatory purchase. One of my favorite planes. 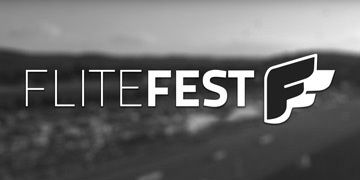 Nice-looking model for sure! Wouldn’t it be cool if they located the motor behind the cockpit like the original?